For those overly concerned about the amount on onboard storage and RAM in a device, China might be the best place for you. According to the latest report from the Korea Herald, Samsung is indeed reviewing the possible launch of a Galaxy Note 7 with upgraded specs, in comparison to the model that will launch in other parts of the globe on August 19. The Galaxy Note 7 headed for China will feature upped storage, 128GB from the base of 64GB, as well as 6GB of RAM. The model shipping in the US, Europe, and Korea features 4GB of RAM. So, why is China getting so lucky? For a high-end flagship to compete, it’s all about the specs. Apparently, the Chinese market is saturated with devices that feature 6GB of RAM and high amounts of storage, meaning Samsung needs to deliver those numbers to be considered as someone’s next smartphone purchase. For us in the US, let’s quickly discuss why our model of 64GB onboard storage and 4GB RAM shouldn’t disappoint. First, the Galaxy Note 7 does allow for expandable storage. If you need more, simply pop in a microSD card. Storage problems resolved. As for the RAM, just look at the OnePlus 3. The device comes with 6GB of RAM, but does it really make a difference to a consumer’s overall experience? In our experience, no, not at all. Until the Android OS and apps are completely optimized to utilize that amount of RAM, it’s simply not a deal breaker. If you think it is, then by all means, proceed to get belligerent in the comments. I won’t stop you. Moving past that non-disappointment, another tidbit was mentioned in the Herald’s report. 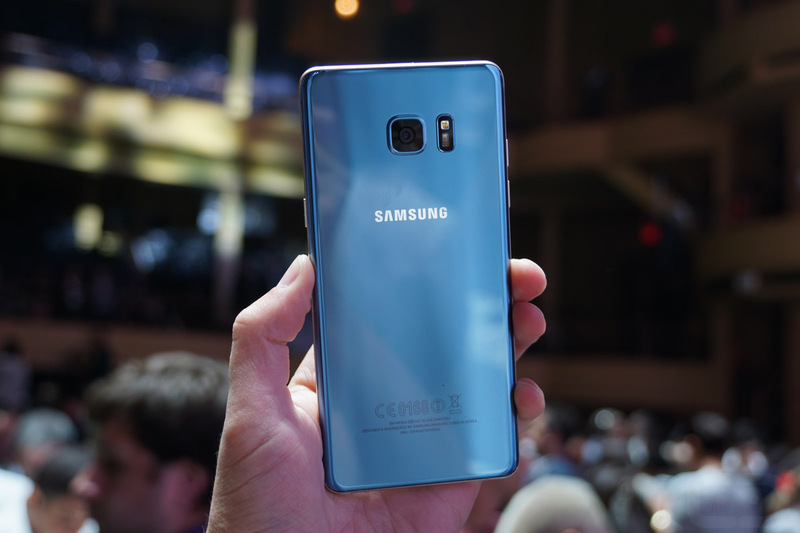 According to Samsung’s Koh Dong-jin, a few US banks, including Citibank, Bank of America and US Bank, are working to bring the iris scanning technology of the Note 7 to its mobile platforms. This means that, at hopefully some point in the future, you can use your eyes to log into your mobile banking app. While no one would argue that having a base of 128GB storage and 6GB RAM in the US model would not have been a bonus, there’s nothing to be upset about. If anything, be grateful Samsung didn’t release the phone for a solid $1,000 with those specifications onboard. If that happened, there would be plenty to get pissed about.